Ben, Brandon, and Brian outrageously discuss whatever topics they feel like in this hilarious, weekly-ish podcast! Listen to the guys tackle the issues that matter the most, like music, tv, movies, video games, apps and technology, Dungeons and Dragons (D&D) and other less-nerdy board games, the culinary arts, feminism and misogyny, stupid fashion trends, hashtags and lazy activism, and as many jokes as we can pack into what we consider a typical, normal conversation! 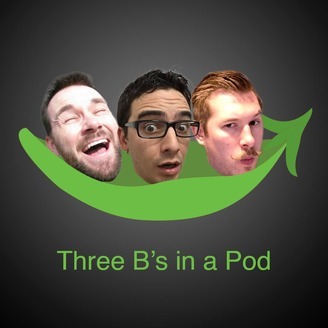 Stalk us on Facebook, Twitter, Instagram, and SoundCloud @3BPodcast. 3BP 20 - Brandon's Big Reveal! Ben flies out to California just as Brian gets a cold, but they invite special guest Jayme over anyway, and then Brandon calls in! Ben and Brian reveal their long-running prank to Brandon, and Jayme talks about her Christmas album. 3BP 19 - Lightning Round! 3BP 17 - We go for gold! 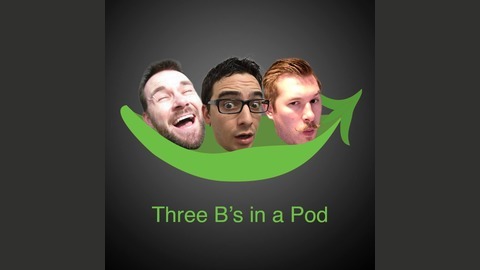 3BP 13 - The Dental Episode!